Might sound a bit crazy but has anyone thought about or actually made a good set of landing gear for a flying wing? I am quite keen on installing some landing gear or retracts on my Zephyr II or future projects. Hand launching a 2.5kg flying wing isn't too much fun and it'd be nice to have some security for all the electronics and airframe. 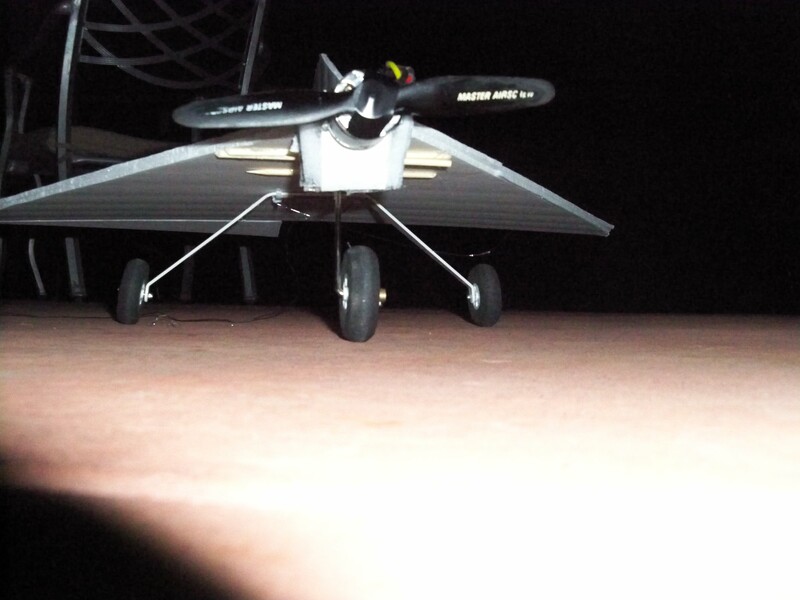 Recently i hand launched my zephyr and it spiraled into the ground, not enough airspeed to climb out. i saw some other guy do it but only in a small photo on the internet, definitely looks like a professional FPV/UAV model. I've thought about it for a wing I'm building, but the landing gear would have to be really long for prop clearance. If you do it, post up some pics! Yeah I'd love to have the retract system but it seems a bit pricey. I was having a think last night about the prop clearance during take off and landing so it'll have to be pretty high. If its long and having to support say over 2 kg it might create a bit of drag. Maybe make my own set if I have the time. I put gears on my wing thing , and they worked pretty well once I took them off!